This is a layout from an old paper stack that I had pick together years ago. 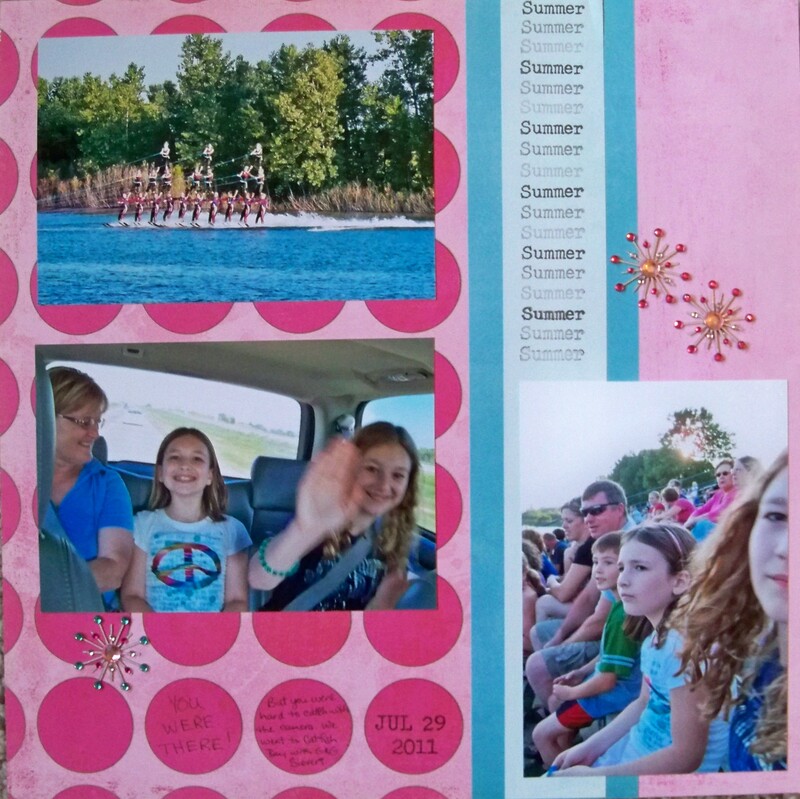 I’ve finally added pictures and today I was able to complete it with journaling and embellishments. When I first see this Save the Date stamp set I think of calendars but it can also be used on layouts. I used the word “summer” to add to my border by stamping it at the top and then twice more before re-inking. I really don’t do much for journaling so this is a great stamp set to use to add a date to my layout. I had to dig for the Karen Foster sparkle burst brads. I knew I had a some left from a previous layout and knew they would be perfect, luckily I found them.